Dress with attached cape and hat. Wizard of Oz fans will love dressing up as Dorothy's nemesis, the evil witch with a mind to steal her ruby shoes. 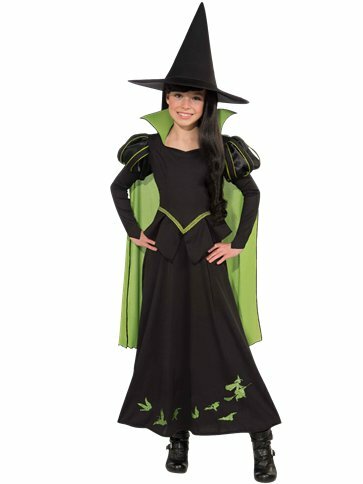 This two piece, officially licensed Wicked Witch of the West costume includes a black and green dress with glitter detail to hem and an attached green cape. Also included with this traditional Witch costume is a pointy, broad-brimmed Witch hat.